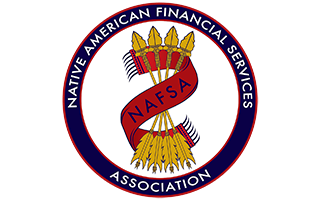 The Native American Financial Services Association (NAFSA) is celebrating National Native American Heritage Month this November. We are taking this time to recognize the ancestry and time-honored traditions of American Indians and Alaska Natives in North America. While we honor our history and culture, we also look towards the future and continue to support economic opportunity in Indian Country. National Native American Heritage Month is a time to educate and raise awareness about the historical and ongoing challenges that tribes and communities face. Looking at our history, we can learn and continue addressing challenges. After nearly a century of advocacy, in 1990, President George H. W. Bush signed a joint resolution of Congress proclaiming November as National American Indian Heritage Month. The month of November celebrates and recognizes the accomplishments of those who were the original inhabitants, explorers, and settlers of the United States of America. Congress chose the month of the November to recognize the American Indians as this month concluded the traditional harvest season. To learn more about the events offered this month, check out the National Museum of the American Indian or Native American Heritage Month websites.